Bublik is a traditional Ukrainian, Russian, Belarusian, Polish and Lithuanian bread roll. 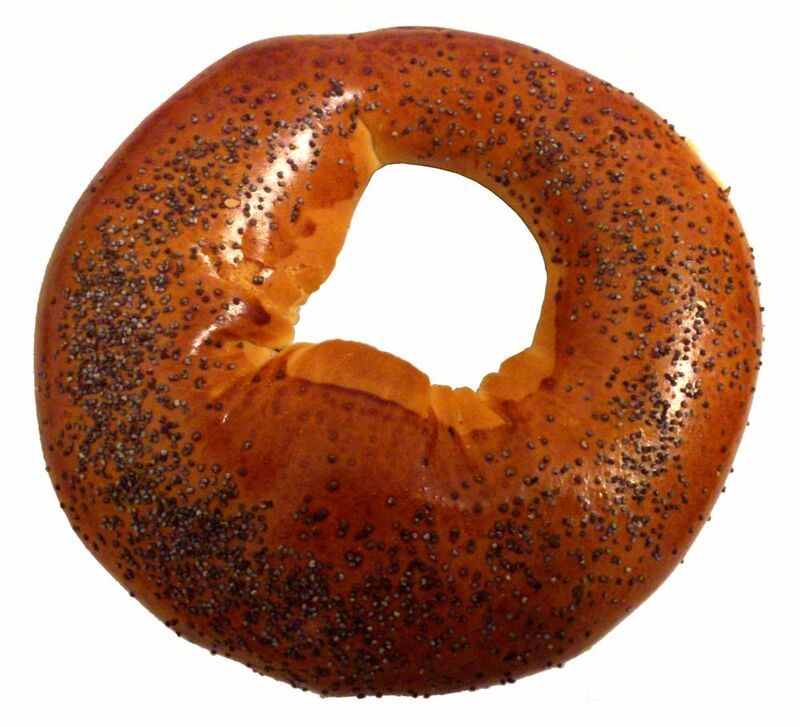 It is very similar to a bagel, but somewhat bigger and has a wider hole. Bubliks often also have a much denser and 'chewier' texture than bagels. Bubliks are members of a class of bread products made from dough that has been boiled before baking, which also includes bagels, baranki, sushki, and other similar breads. In Russian and Ukrainian, bublik is often used as a generic designation for any ring-shaped product of this class. The first documentation of the obwarzanek dates to a mention in a summary of the Polish court from the year 1394. An application to the EU for recognition as a regional food specialty notes that obwarzanek "should be between 12 and 17 centimeters in diameter, weigh 80 to 120 grams and its color should range from golden to light brown". In Russia and Ukraine bubliks are usually treated not like bread, but like a type of pastry, eaten as a complement to tea or coffee. Therefore, bublik dough is generally sweeter and denser than that of bagel dough, and they are usually glazed with egg yolk. By far the most popular variety of bublik has a liberal amount of poppy seeds added to it. Bubliks are usually eaten as is, but it is not uncommon to dip them into a beverage, a practice that came from eating sushki and baranki, which were very similar in taste, but rather dry and hard and not easily palatable unless moisturized. Another common way of eating bubliks is to break them into several fragments and to eat them with jam, sour cream, or other similar dips. While they often accompany tea, bubliks, again unlike modern bagels, are rarely considered a breakfast food. There are number of similar bread products in Russian cuisine, and the main one of this type is baranka, a dough ring somewhat smaller than a bublik, but much thinner and drier. While bubliki originate from Pale of Settlement, baranki are an original Russian dish, their very name, baranka or baranok, being a contraction of a word obvaranok, "scalded". They are usually harder than bubliks, thus requiring dipping them into tea or coffee before eating. Sushki are an even smaller and drier type of baranki, generally about 50 mm in size, and have the consistency of a hard cracker.